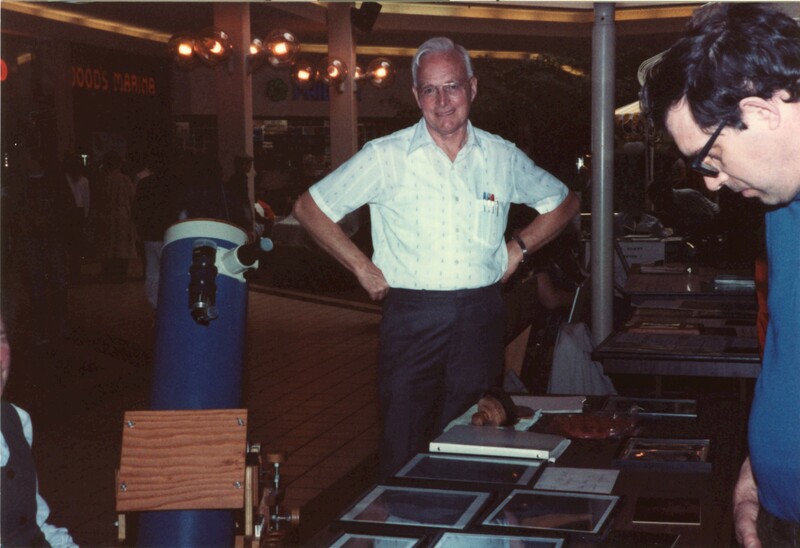 Astronomy Day 1984 (May 5) in Kingston, Ontario. Centre display at the Cataraqui Mall. Hein van Asperen with his home-made Newtonian on Dobsonian mount.